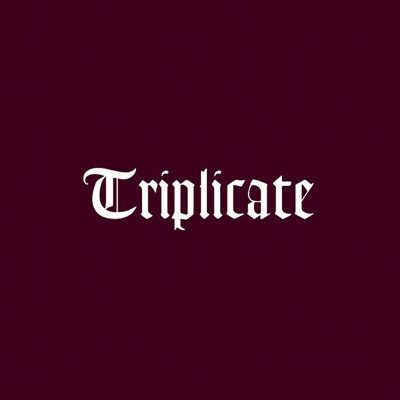 Bob Dylan has released “Triplicate,” an album of classic songs, and his largest release ever. And no, the 30 songs are not his, but rather ones that belong to singers such as Frank Sinatra and artists of the Great American Songbook. The three discs are thematically arranged. CD 1, titled “‘Til The Sun Goes Down,” features songs that reflect memory and lost time such as “Stormy Weather” and “Trade Winds.” CD 2, “Devil Dolls,” consists of songs that speak about fiery love that has been extinguished. And CD 3, “Comin’ Home Late,” caps off the album with songs that other musicians made famous such as Frank Sinatra’s “Day In, Day Out” about the promise of love. This album follows Dylan’s “Shadows In the Night” and “Fallen Angels,” both which also contain new versions of songs recorded by Sinatra. Dylan is famous for writing songs acting as rallying cries for a movement. Now, he writes a sweet rendition of “I Could Have Told You,” a song that came out in 1954. Dylan was only 13 at the time. The song is about a fleeting love affair with a straying woman saddened with a pedal steel, filling the role of a string arranger and players that would have been there 60 years ago. The mixture of songs shows Dylan’s passion to not only be a songwriter, but also a DJ of the American song. He includes the music of not only Sinatra but also standard songwriters like Hoagy Carmichael. In “Shadows of the Night” and “Fallen Angels,” Dylan showed how well he understood the “Great American Songbook.” In “Triplicate,” Dylan proves that a song isn’t a song without a melody, harmony and voice. There are a few songs that are upbeat and some that are bluesy, but most are soft ballads. In songs such as “I Could Have Told You,” “Here’s That Rainy Day” and “Once Upon a Time,” there is a theme of memories of loss. He imitates songs such as Sinatra’s original 1965 version of “September of My Years.” The original version opened with strings while Dylan’s creates the same sound using guitar and bass. Aside from the music, it is Dylan’s voice that delivers something new to the music. He does not mimic Sinatra’s smooth style but sticks to his unique voice while still being able to mimic the phrasing. Occasional lines are distinguishable from the rest as Dylan struggles to control his voice, but the way he delivers the sound overshadows the struggle and gets right to the heart of the song’s meaning. However, the use of instrumentals is also crucial in his unique mimicking. He uses a quintet that lets him recreate a sound similar to “Stormy Weather” and “It Gets Lonely Early.” On many of the tracks, a deep and vibrant cello is used. Dylan closes “Triplicate” with Sinatra’s “Why Was I Born” from many years earlier. This song expresses the best parts of Dylan’s songwriting asking questions about the reason for his birth and his role in the world. Captivated by the sensitive playing of Dylan’s stripped-back style, the listener really gets a sense of what these old songs mean through their new ways of presentation. Some of the more great moments on the record occur on misinterpreted songs such as “Sentimental Journey,” a song about the journey home to the arms of a long-lost lover. Dylan sings while sagging below the pitches. In his throaty run-through, “counting every mile of railroad track — that brings me back” becomes the song’s purposeful line rather than its most hopeful. Moments like this prove that in order to really love this album, listeners must understand the odd moments along with the unmatched ones. I Bough this out of respect of the artist, and I started listening to it with high Anticipation. Well, in my opinion, this is a $ 75.00 investment in guaranteed drunken boredom. At that age, with your reputation, you think you can do anything you want.